Just completed the final report for the project Documents of Resistance: Our Time at Loisaida September 14—November 30, 2018. Images above are from a class visit from Argentina! We had a great time. For the entire run of the exhibition I gave several exhibition tours. The material and history is so dense and rarely discussed that tours are a valuable part of reaching people and bringing to life this important history. Image above: Antonio Serna with Carlos Alvarez and his students from Argentina. October 16, 2018. Exhibition extended to Friday November 30th. 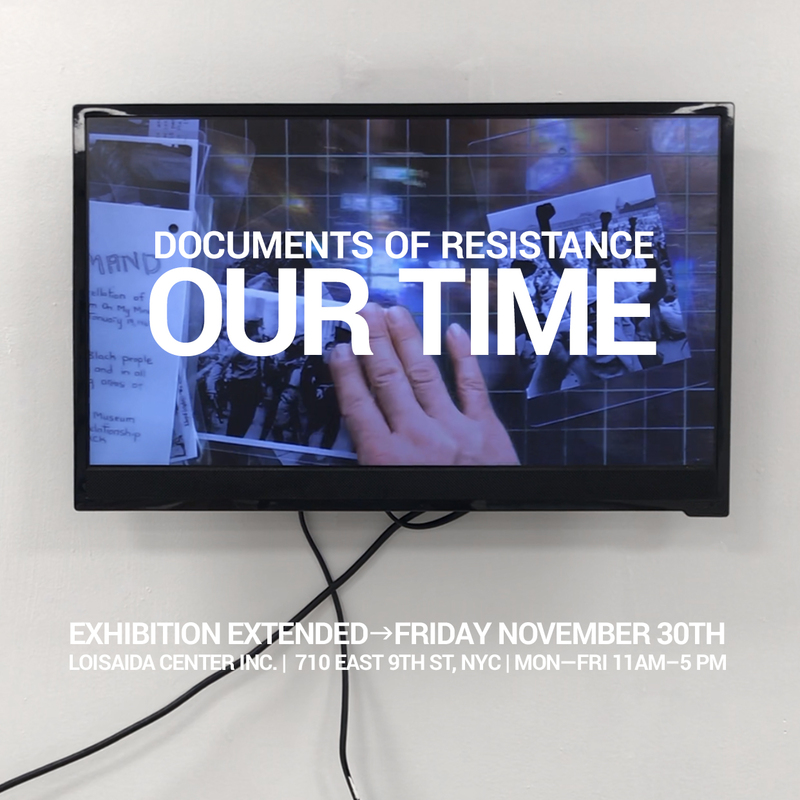 Loisaida Center Inc. is pleased to present Documents of Resistance: Our Time, a participatory exhibition and residency of new work by Antonio Serna. How do we give contours to an art history that remains unwritten, scattered across archives, and siloed in scholarship? 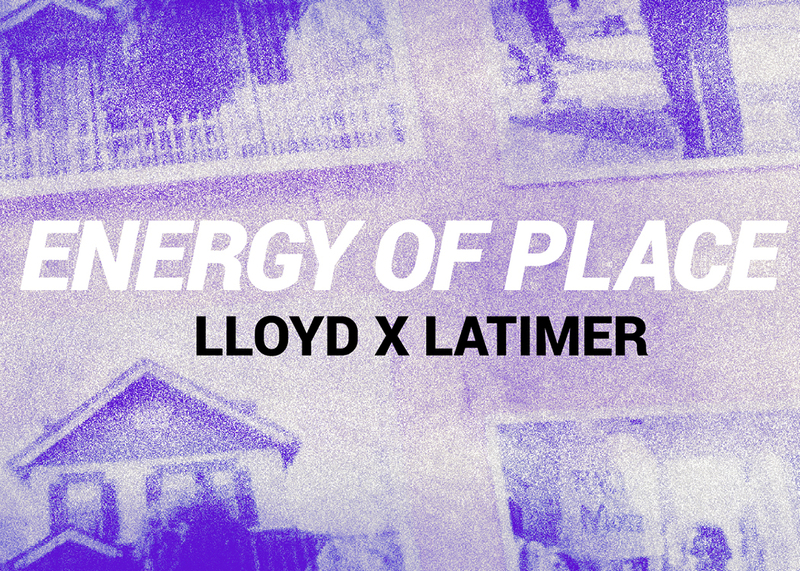 How can we begin to reconnect the struggle for civil rights across all artists of color and their fight for inclusion in our cultural institutions? How can we being to reflect on the complexity of artists of color and their unique experience, political actions, and artistic production as part of the art history in America? 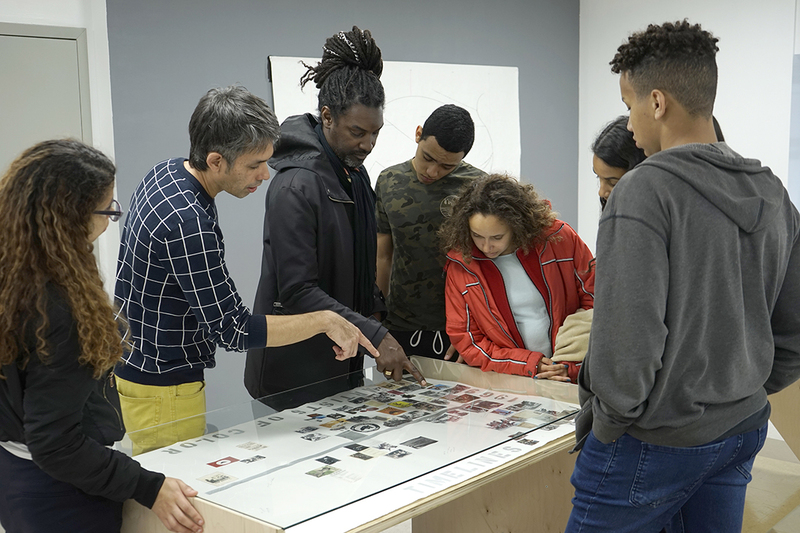 In the exhibition, Documents of Resistance: Our Time, Mexican-American artist, Antonio Serna is hoping to take us down a visual path to consider these and many other questions in regards to the important but often overlook contributions of artist of color.